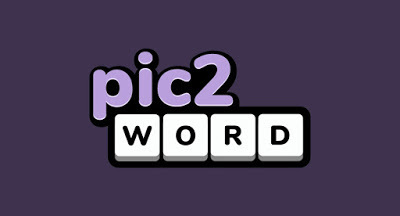 Pic2Word! 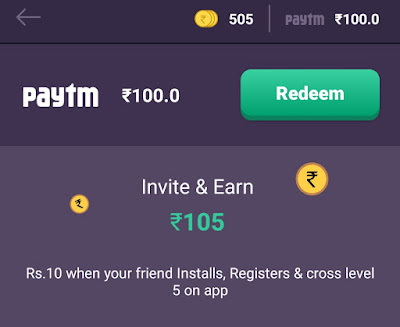 The Brain Game - Get Rs 10 Paytm Cash on Signup & Rs.10 per Refer. You can withdraw your earning as Paytm cash. This app is from DataGenie. So hope it is genuine. Update:- Refer amount reduced to 5₹ again! 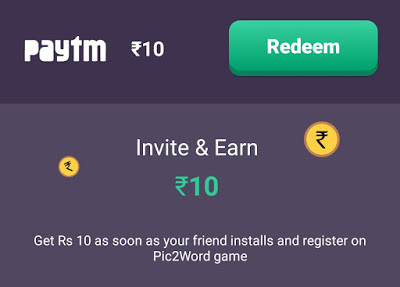 How to Get Rs.10 On Signup from Pic2Word App? • You can see Rs.10 added to your wallet. • Now answer 5 Puzzles from below. • Now Refer your friends to earn more in wallet. • Youll get Rs.10 for every successful refer.